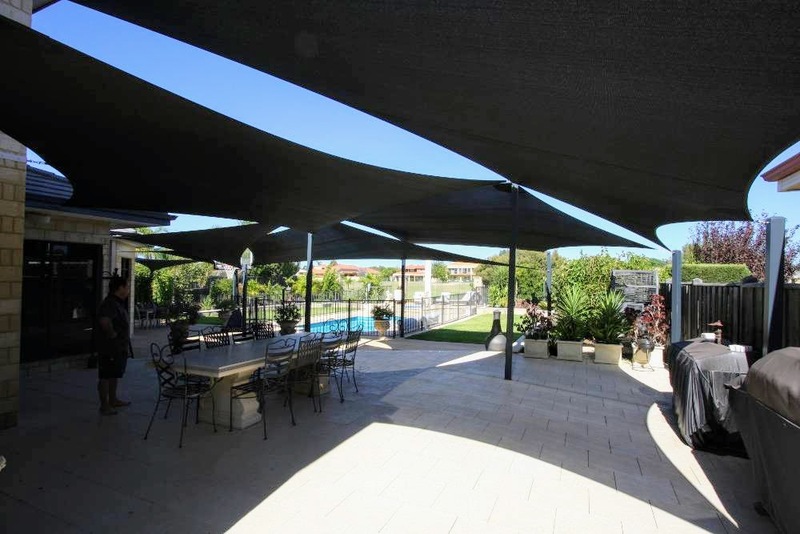 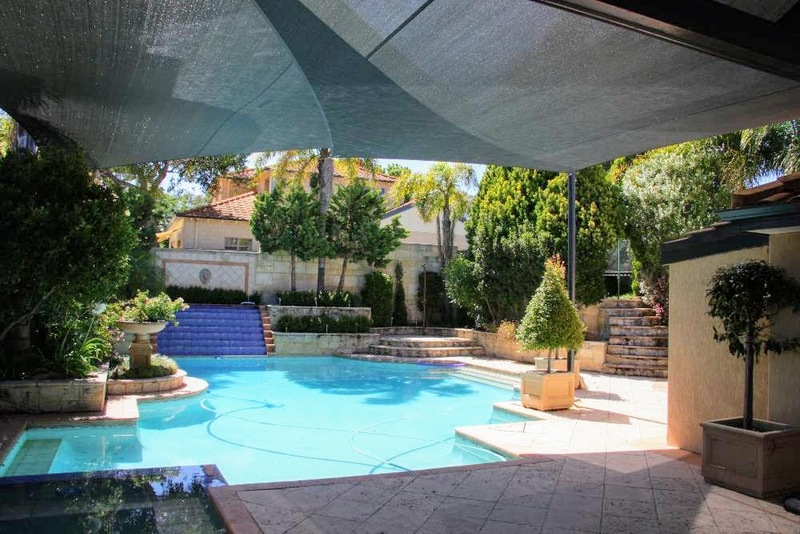 Regarded a premier Shade Sails Perth company with over 20 years of experience, offering our clients the highest level of knowledge, creativity & expertise to help you achieve the perfect shade solution to meet your needs. 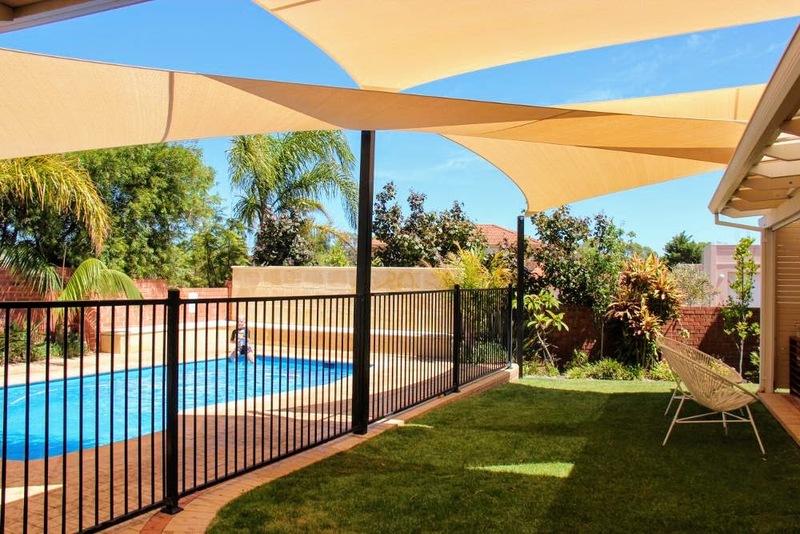 Do you need a robust shade system to protect your home, business, school or park, for when Perth’s harsh summer sun comes around? 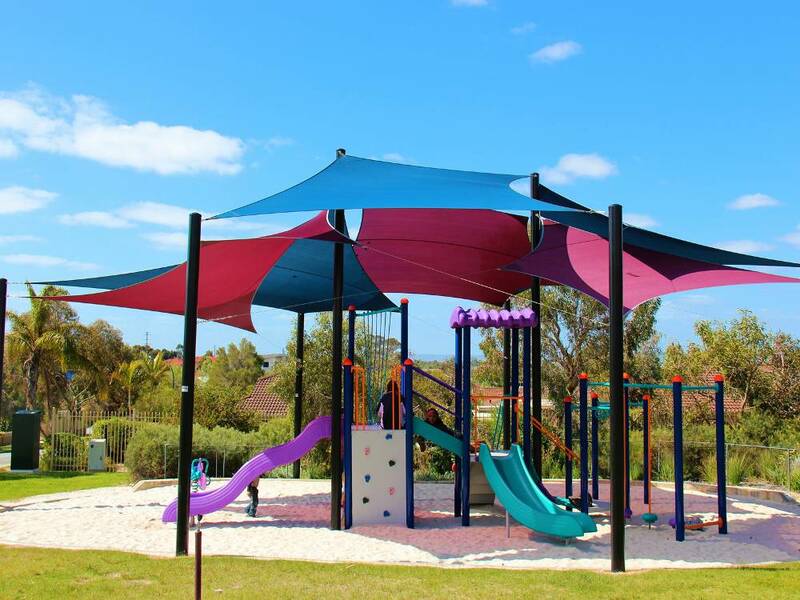 Our experienced team of Designers, Sail Makers & Installers pride themselves on providing vibrant & dynamic designs without compromising on product quality & performance. 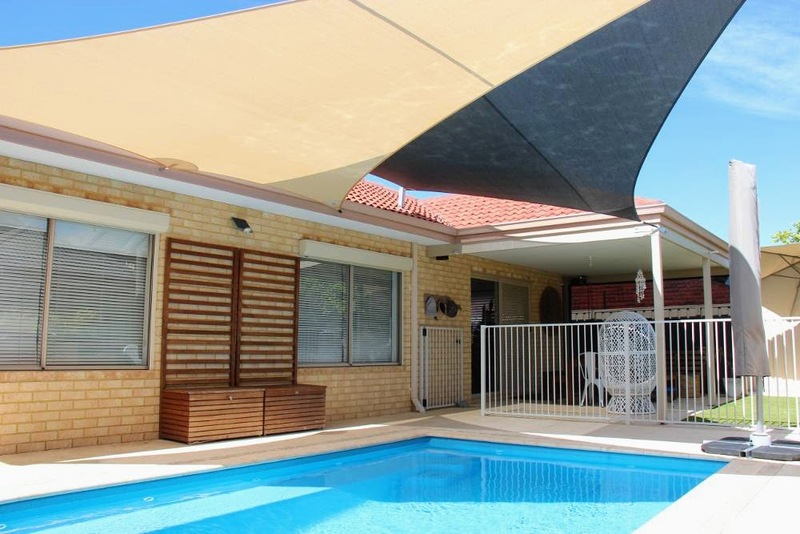 We are well versed at providing our clients with a professional & market leading service. 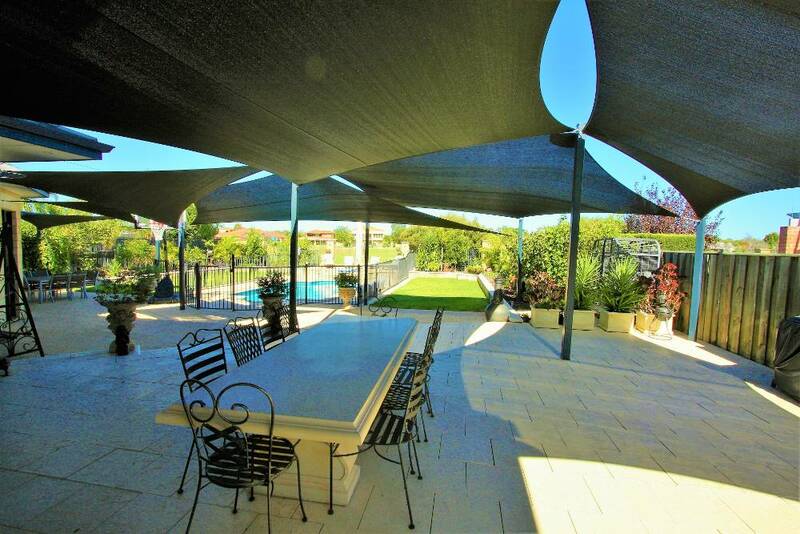 Our commitment to yout satisfaction is a real testament to our success. 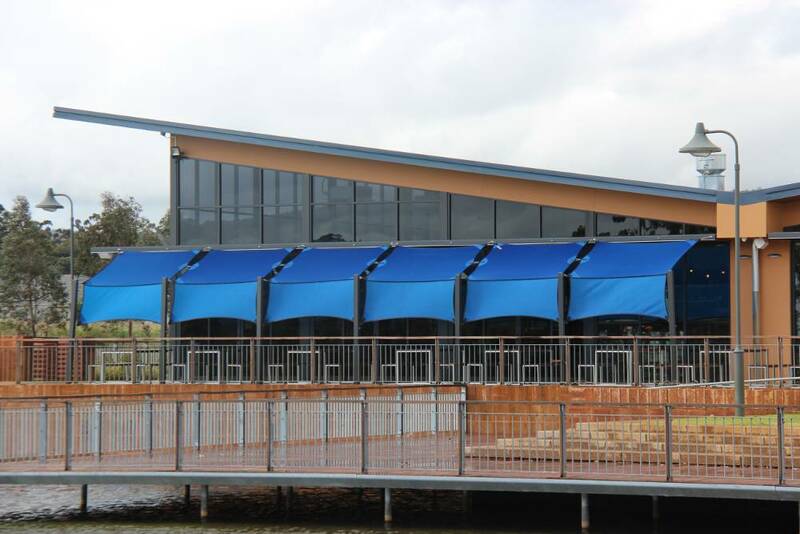 We have earned many loyal customers from many walks of life. 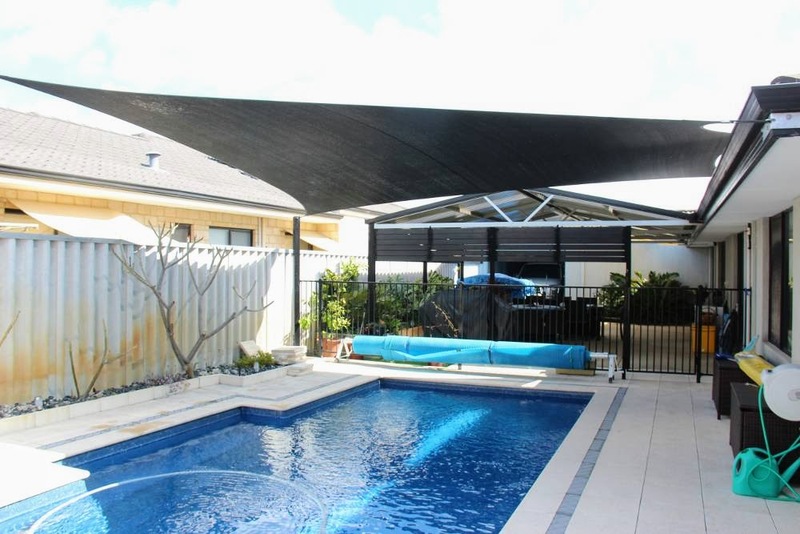 Our shade sail designs will match your existing architecture for a seamless, beautiful way to extend your living area. 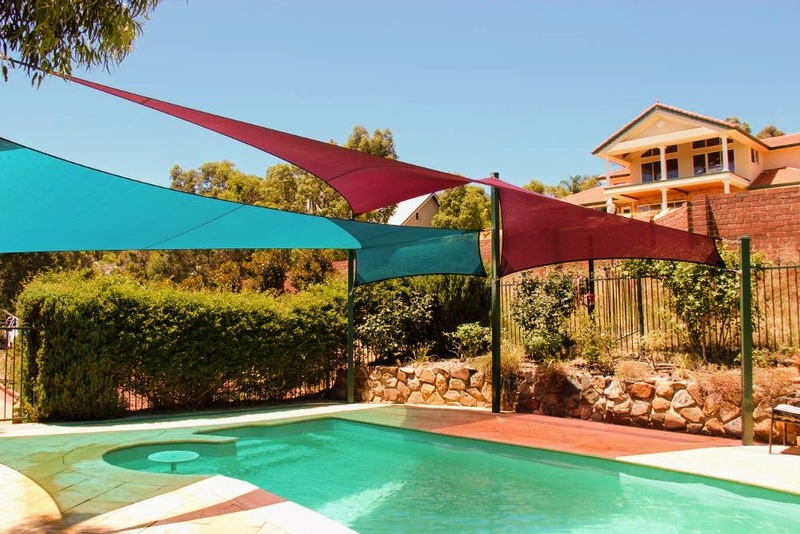 To add value to your property, we can match the shade sail style to your home. 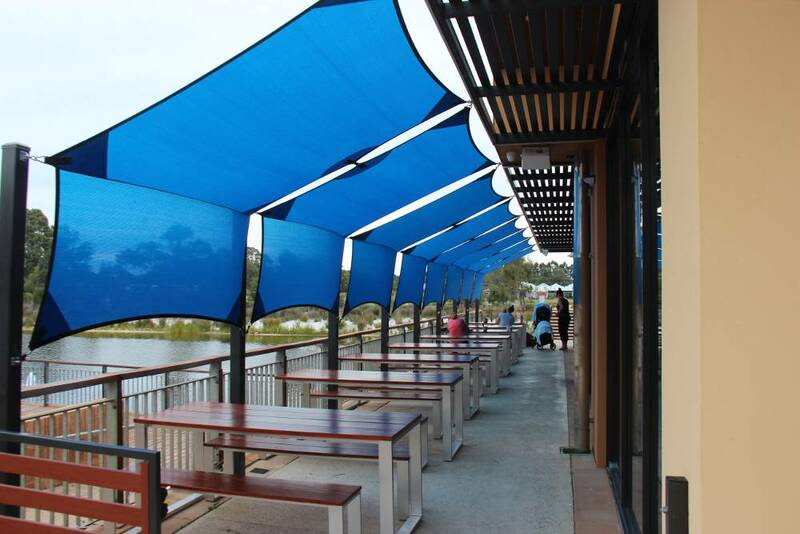 The most superior shade sail solutions for residential, public and commercial sites all over Western Australia. 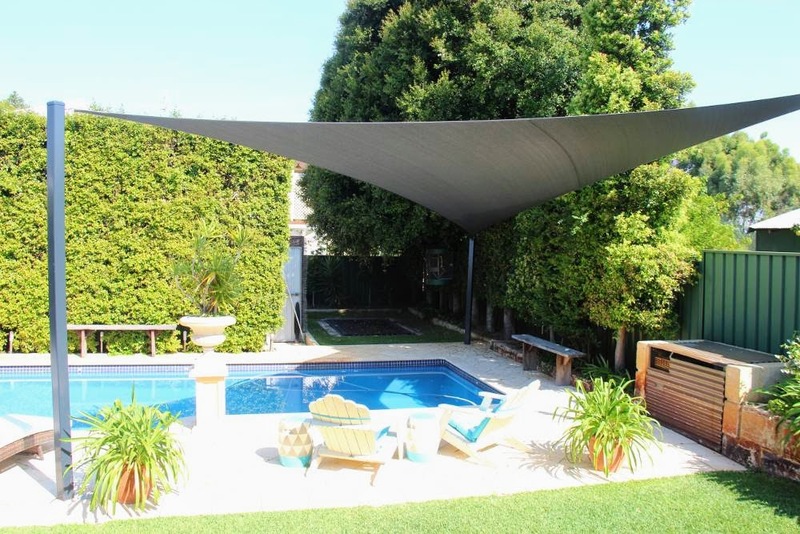 We believe that a quality shade sail should be built to last. 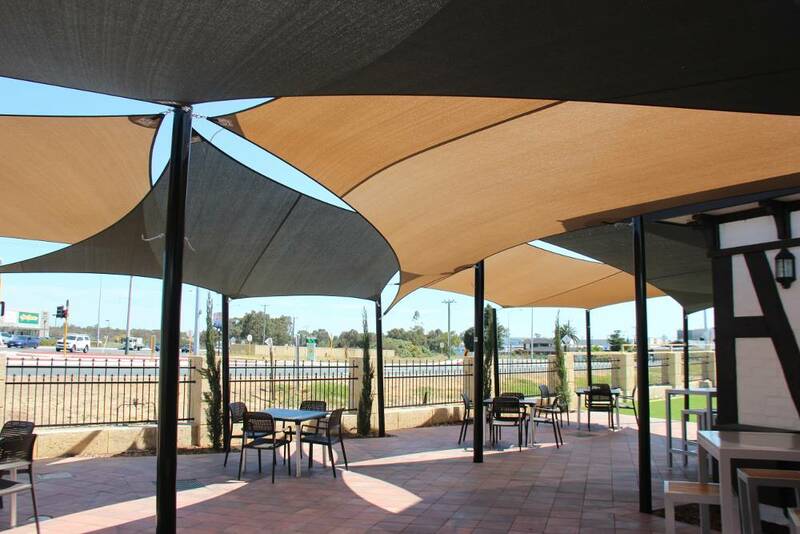 We back all our shade structures with a 10 year UV warranty & also offer a 2 year warranty on workmanship. 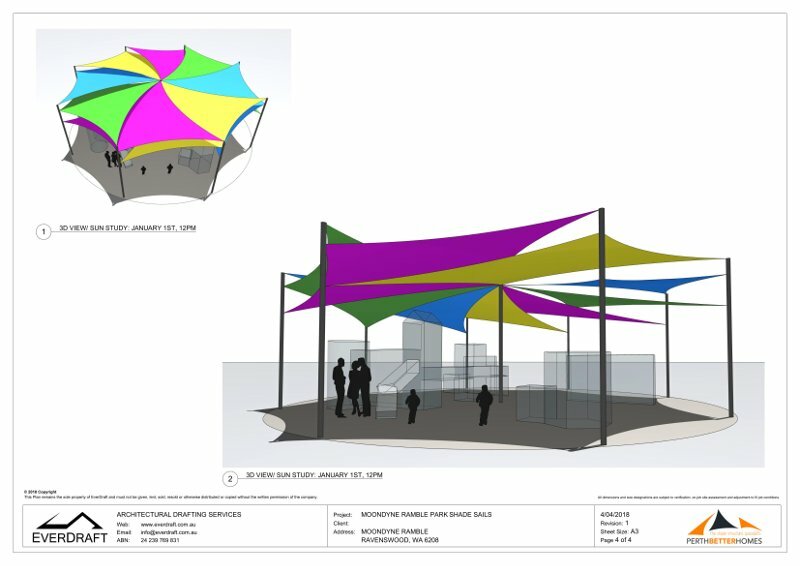 Please contact our office for more details on our maintenance program whereby we take down shade sails during winter & re-install at the start of summer. 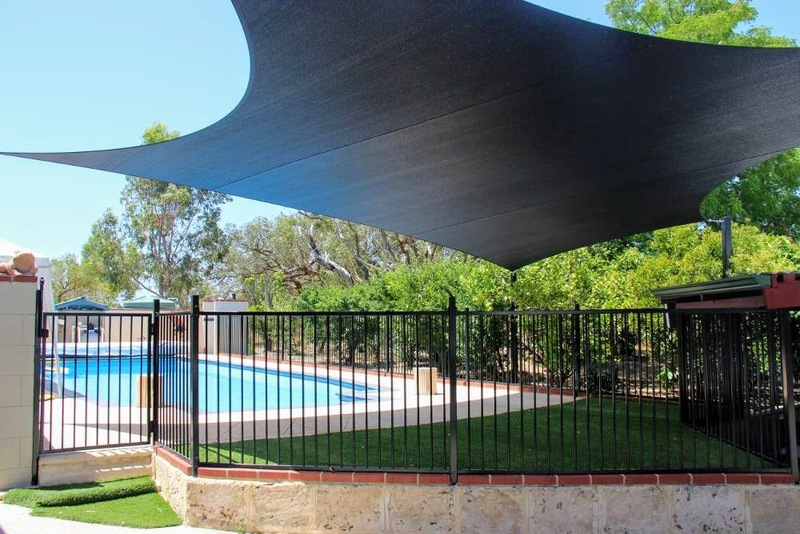 We specialise in shade structures & are able to help you create a solution for your residential or commercial project that will be both highly functional & aesthetically pleasing. 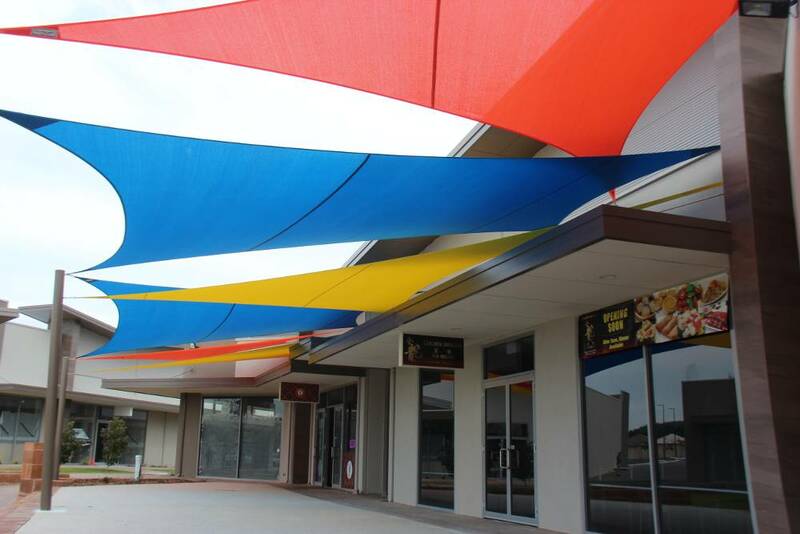 With a range of designer colours to choose from, you can be sure that our shade sails will also provide a striking design feature. 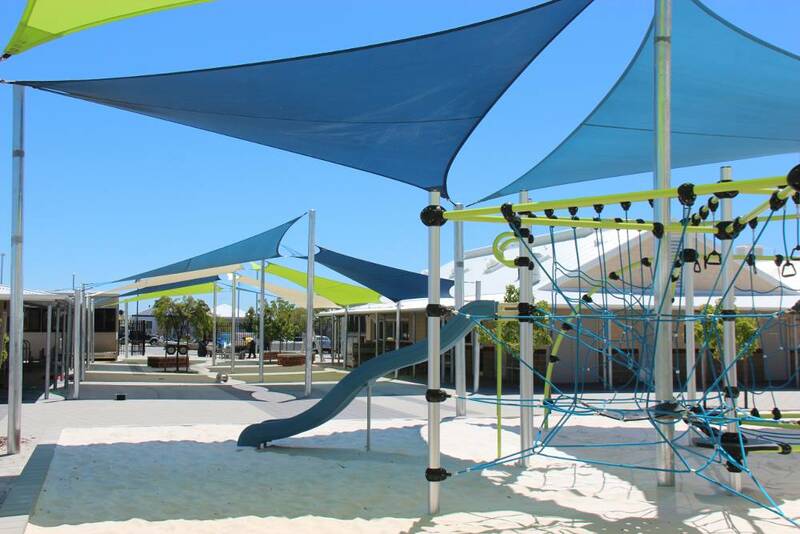 Our products range from simple domestic shade sails to complex multi shade sail configurations for city councils, school playgrounds, childcare centres, cantilever shade structures for shopping centres, car parks, hospitals, amphitheatres & community swimming pools. 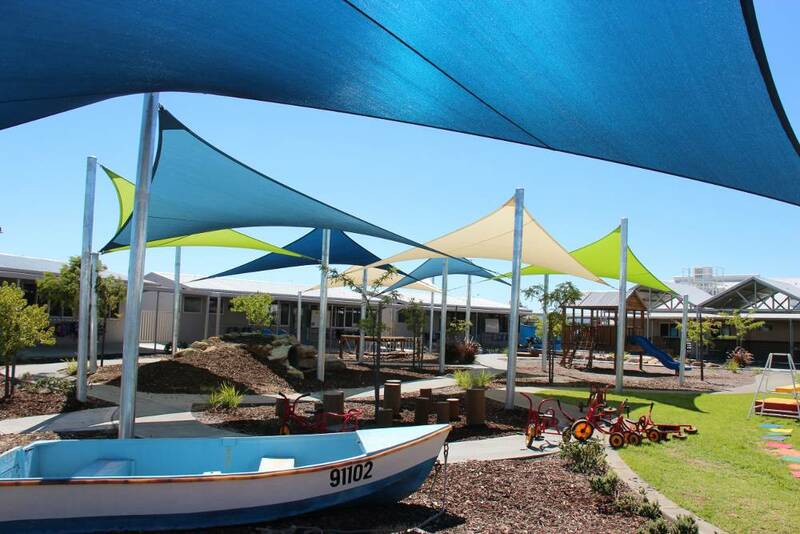 We have also completed an array of large commercial projects within the education & mining sectors in WA. 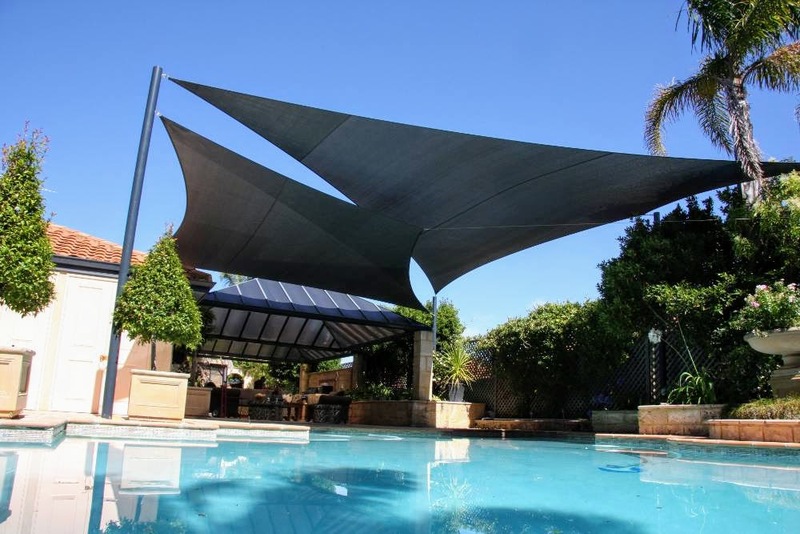 We have been designing, manufacturing & installing shade sails for over 20 years using only the finest materials & components. 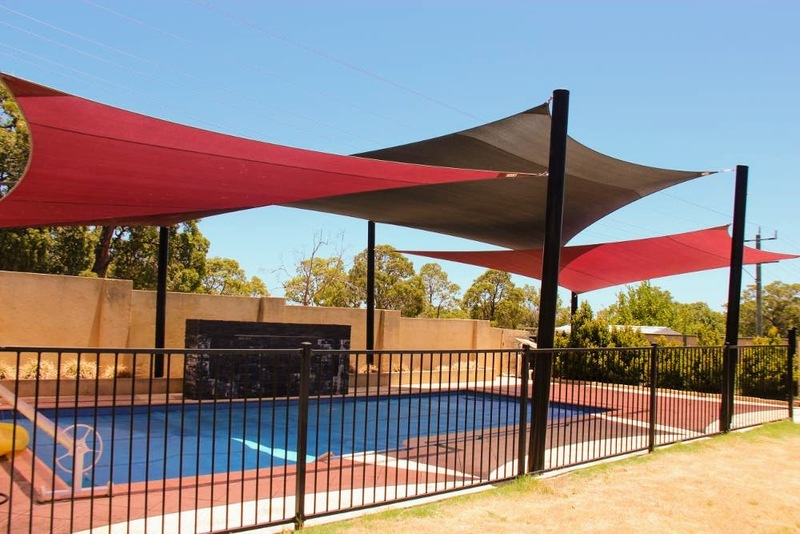 Quality shade sail fittings play a vital role in holding your shade sail in place & ensuring that the tensioning is perfect. 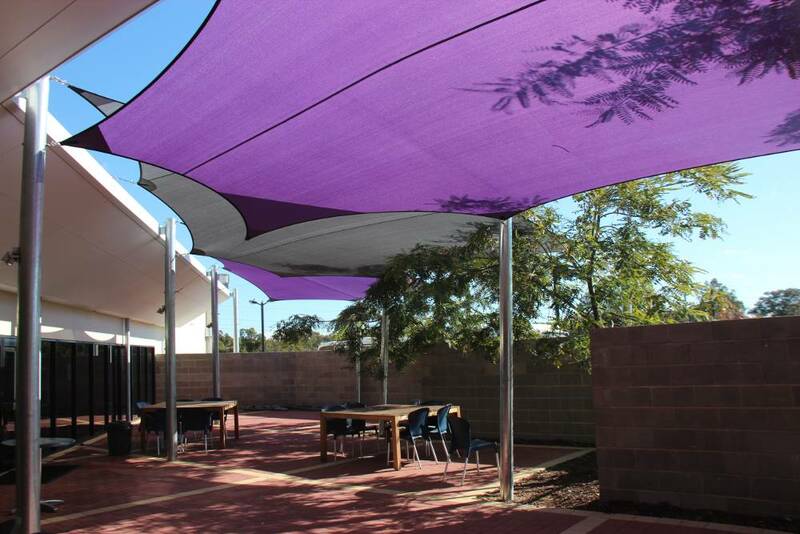 We only use high quality, commercial grade cloth that are both strong & durable & offer excellent UVR protection. 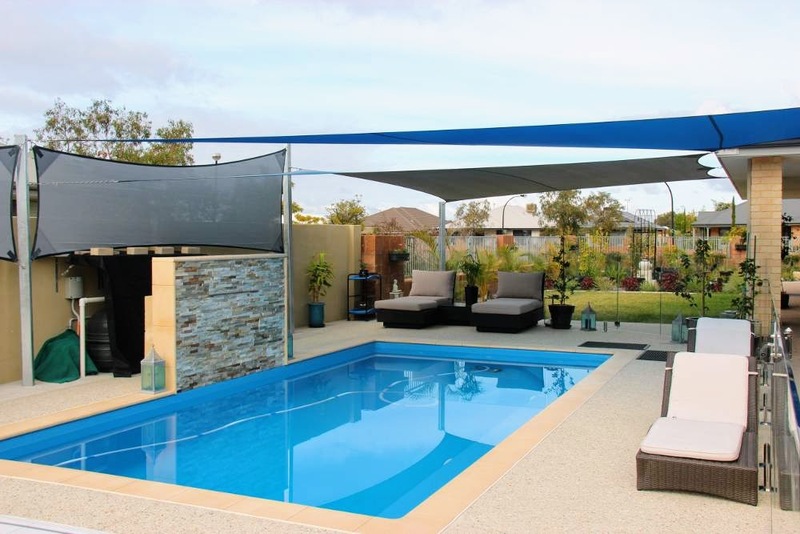 The shade cloth is made to the highest quality standards & are available in a wide variety of vibrant, exciting & contemporary colours to choose from. 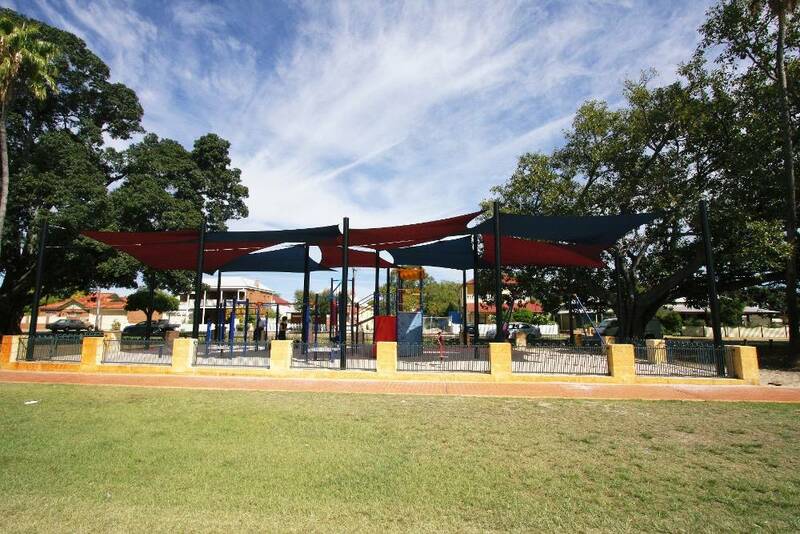 The posts are galvanized steel & are manufactured in Australia. 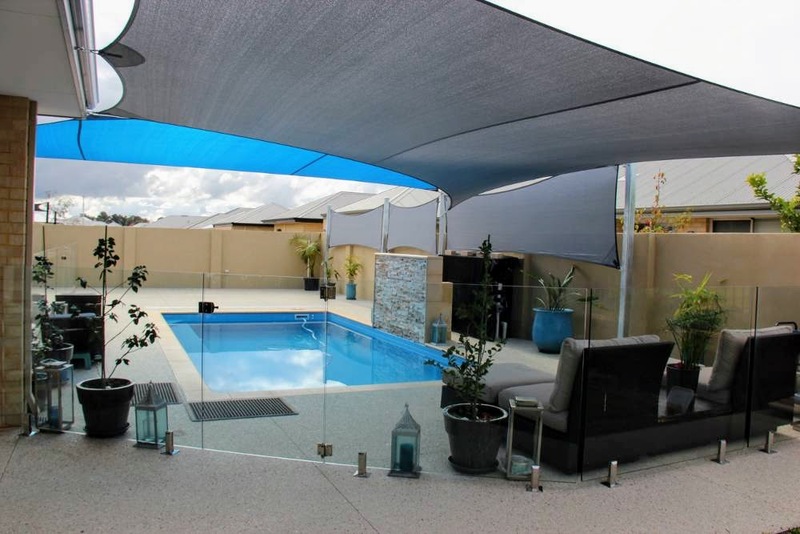 Our expert team of installers will install your Shade Sails Perth to the highest standards to ensure increased longevity. 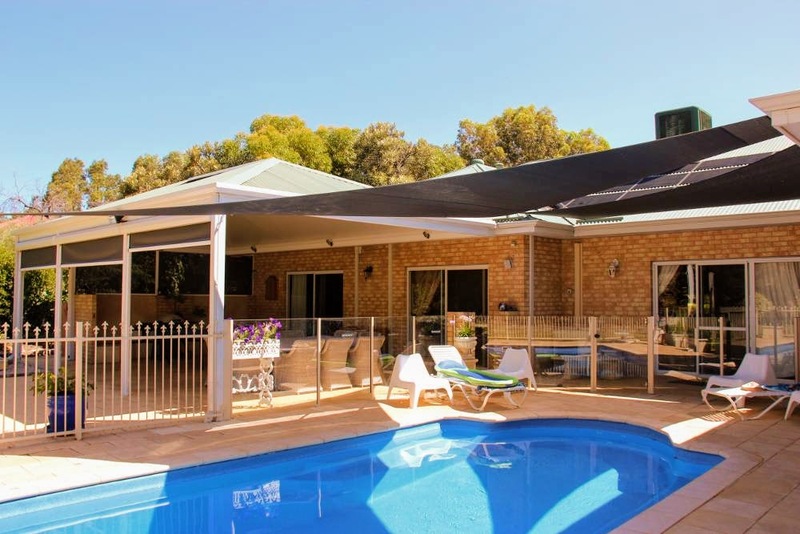 We endeavour at all times to provide an installation that is fast, efficient & convenient to suit your schedule. 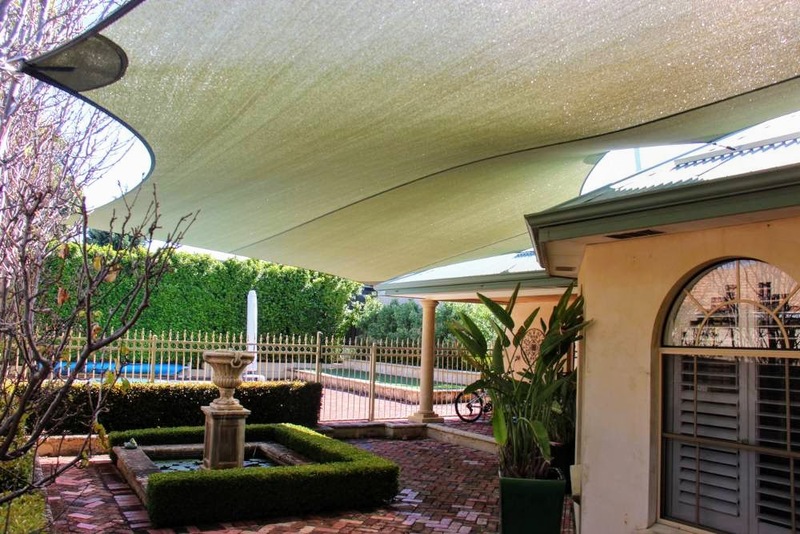 A custom designed shade sail will enhance the appearance & comfort of your favourite outdoor space by providing you with adequate cover to shield you from the harsh sun. 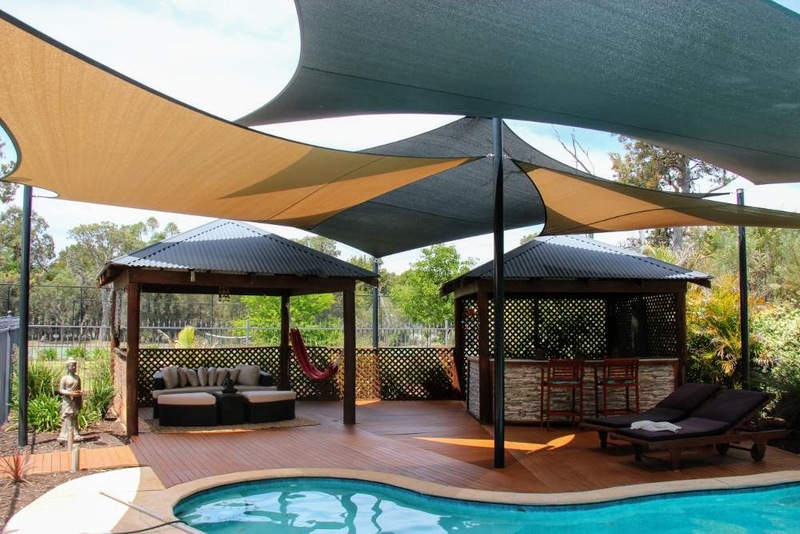 It is a cost effective alternative to awnings, patios or other roofing systems & is a striking feature to any pool, garden, carport or outdoor entertaining area. 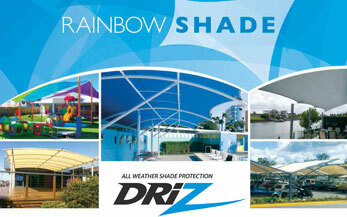 Another innovative option is the installation of waterproof shade sails over kid’s backyard play areas. 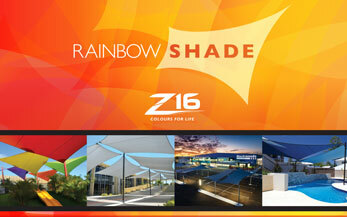 Beautifully coloured shade sails provide the perfect balance & visually stunning Shade Sails Perth structures. 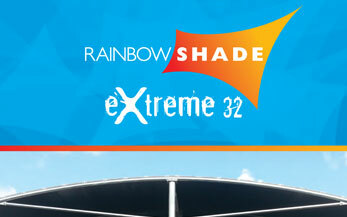 With shade sails you can enjoy long lasting protection along with functional & stylish flexibility. 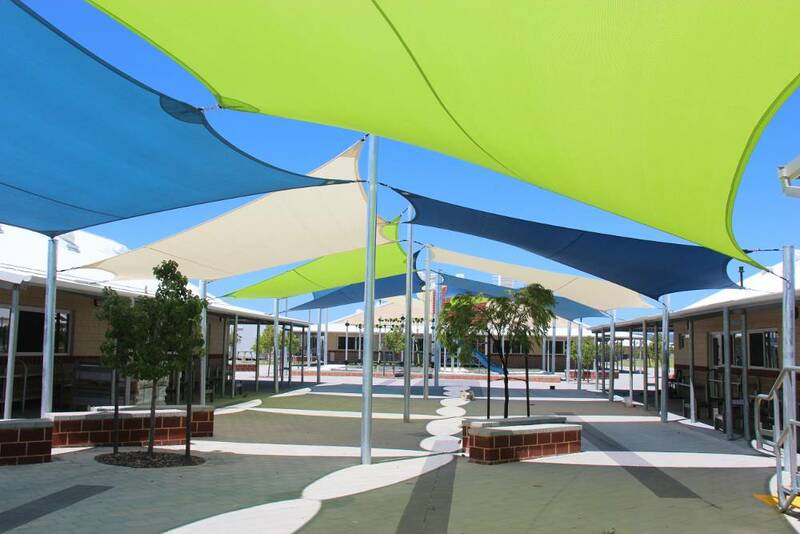 There are many different colours to choose from when designing your shade sail system. 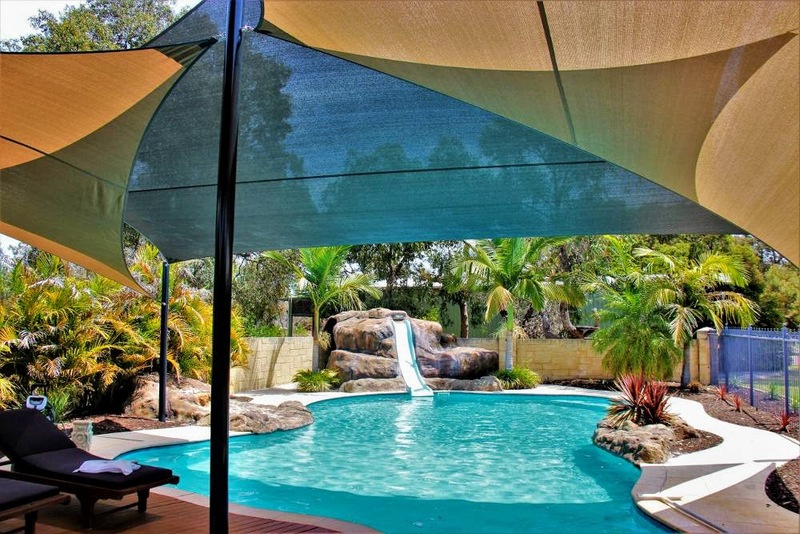 If you get stuck, we can help you decide which combination will complement and enhance your existing surroundings. 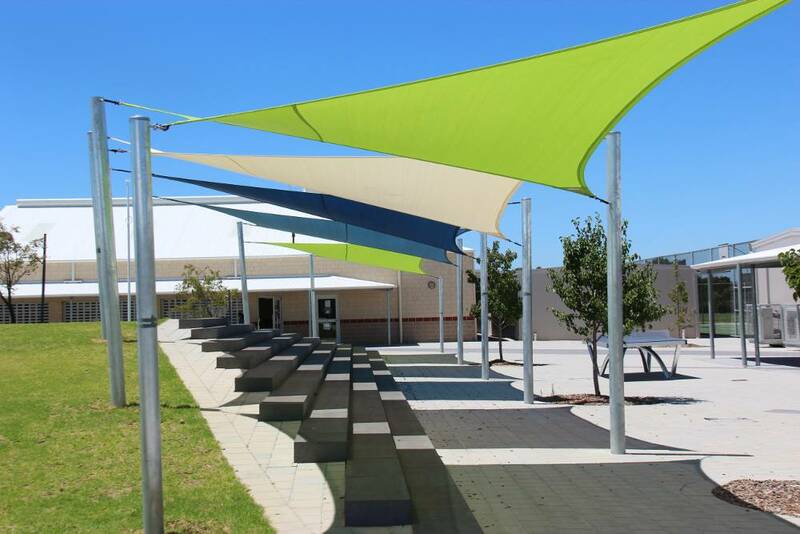 We offer a service to Councils, Schools, Commercial and Residential clients whereby shade sails are taken down for winter months, stored, checked for repairs and re-installed at the start of summer. 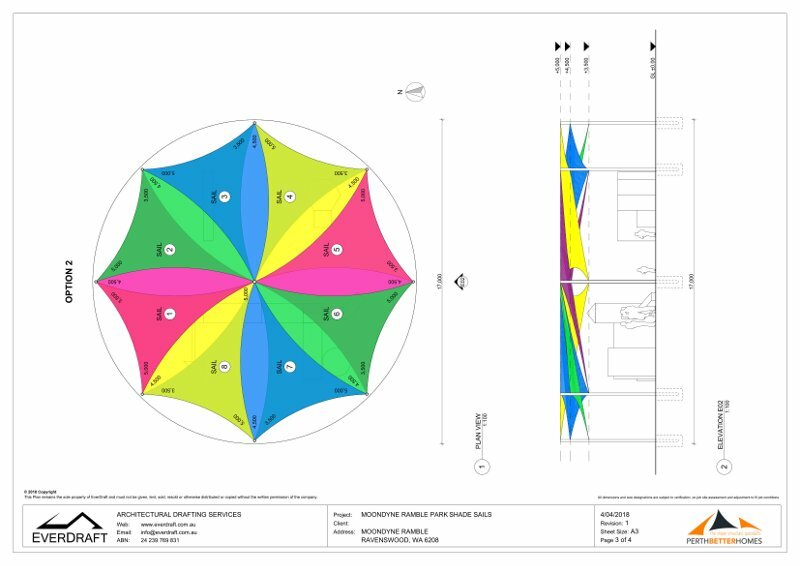 This procedure prolongs the lifespan of the shade sails and also offers the opportunity to inspect the shade sails for repairs / fixes during the down time. 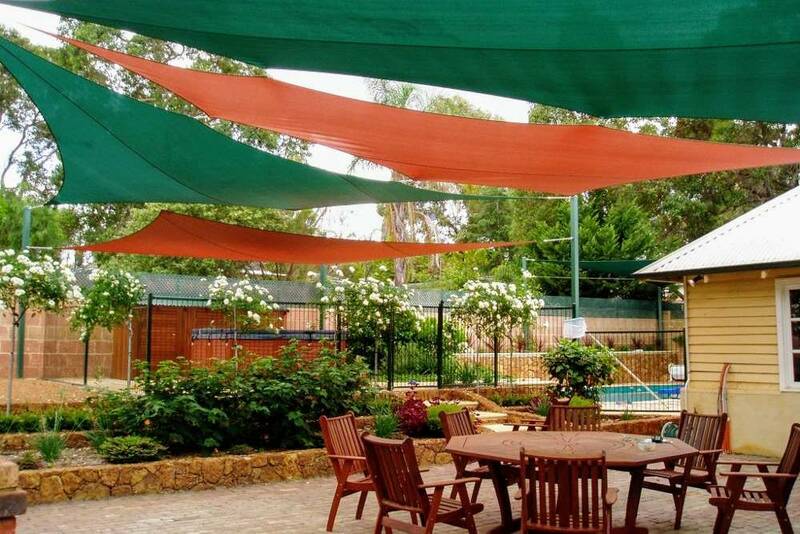 Clients are requested to contact our office in advance to book a suitable site visit to have the shade sails taken down.